against theft and damage in minutes. 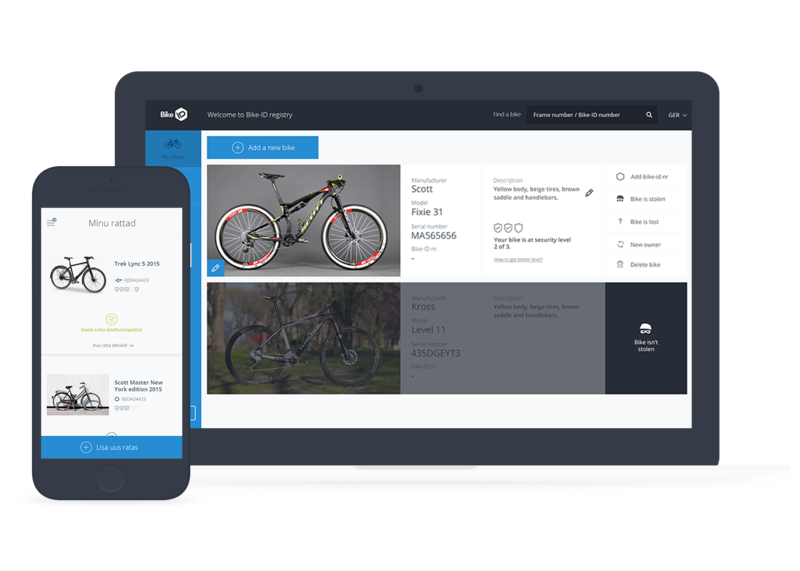 Register your bike in a free, international database. Even if you are not insured by Bike-ID, you can still register your bike. Bike-ID’s free international bicycle registry helps reunite bike owners with their stolen two-wheelers and increases the chance that your stolen bicycle will be returned -- even across borders. We want to see every bicycle returned to its rightful owner.